I was reviewing information about Fish peppers, and it was mentioned that the white immature peppers were used to make white sauce. 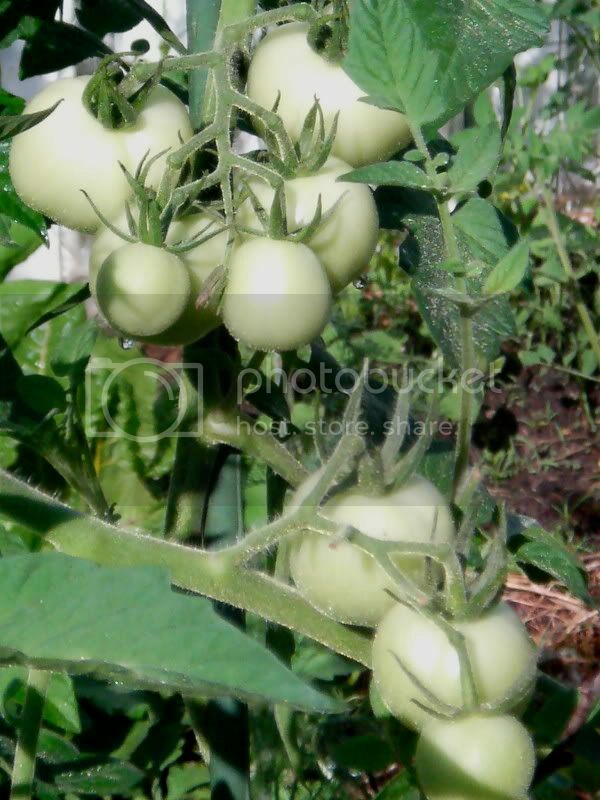 This kind of got my imagination going, and since I already have seeds for several varieties of white tomatoes (which typically turn light yellow when ripe) I decided to plan a "White Sauce Vegetable Garden" for next year. Last time I grew them, I thought white tomatoes were kind of bland. But I did get seeds for a couple more varieties that are supposed to be flavorful. The bland ones will do better cooked in any case. In addition to Fish, I'm planning on planting other peppers that are white when immature -- white bell peppers and Hungarian peppers. I'm also going to try some white eggplants. ... Probably daikon and white turnips, too, though white cabbage butterflies may become a problem. I was also looking for other possibilities, and came across "white celery"
Fenland celery is grown in wide rows with deep trenches. This allows the soil to be banked up around the celery as it grows. This â€˜earthing upâ€™ process keeps the celery warm and protected from frost as it battles to grow through the winter months. Covering up the celery with soil also blanches it giving the sticks a paler colour and is why it has become known as â€˜whiteâ€™ celery. Re: White Vegetables for "White Sauce Vegetable Garden"
You left out the most obvious one: cauliflower, which is normally eaten white. white mushrooms, garlic, white onions, celery root/ celeriac, parsnips. Or was the criterion vegetables that are not usually white? You read my mind... Or I was reading yours? I was thinking I'm out of cauliflower seeds and need to restock for next spring. So many cauliflower varieties are hybrids -- I wish I could find a good OP/heirloom variety. But my Improved Snowball didn't flourish and I wasn't able to save seeds. These are great suggestions -- they will round out the seasonal succession. ...is there any more? I just saw some white cucumbers but I want to make sure they are not bitter. Burpee's White Wonder looks as though it really has white/ivory skin, but many reviewers say it was bitter. I'm really liking cooked cucumbers they add a lot of flavor as well as moisture. Ooh! I'm going to go look around! Thanks! Leeks, Tokyo Turnips (pure white skin - no bitterness), white eggplant or has that been mentioned? Shallots, green onion bulbs, white onions. It may take awhile but if you have asparagus and blanch them you will have white asparagus. There are white eggplants Casper is the one I remember the name of. So what are your experiences with white eggplants? I bought 'White Comet hybrid' on a whim. 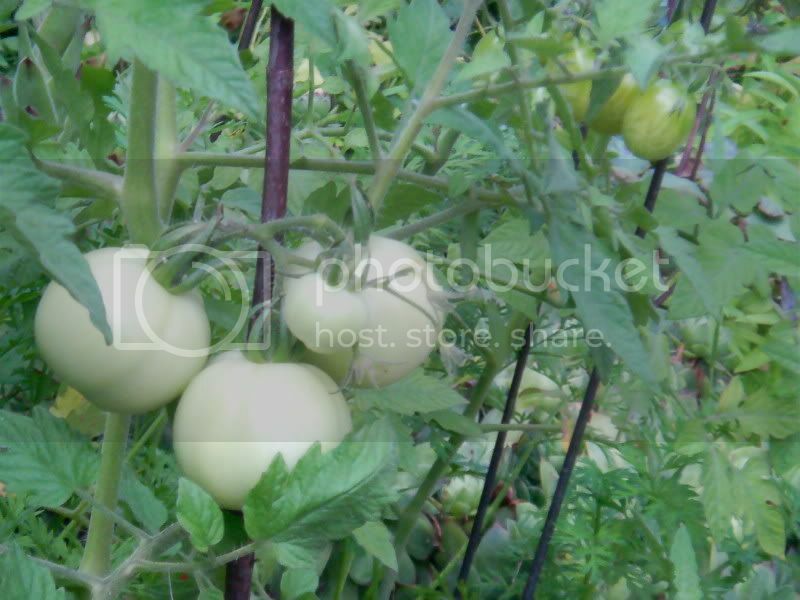 I'm looking at 'Gretel hybrid' too, as well as 'Thai White Ribbed' an heirloom variety from Bakers Creek. This might be equivalent of the white peppers and eggplants. Any tried and true white skinned white flesh varieties ? Is it cheating to just peel the potatoes first? then it doesn't matter about skin color. Last year I grew a red skinned white flesh variety called Sangre. Maybe I'll get that again. I accidently planted white eggplant one year. They were labeled long green. The skin was snow white and tender like the long green, not as bitter as the black beauty. The fruit was more egg shaped than the black beauty. Unfortunately I don't know the variety since it was labeled incorrectly. I have grown white eggplants before. They are harder than the purple or green ones and have creamy mild flesh. I use them when I am going to braise or use it in a soup or stew. These I do prefer to peel first. They can also be chopped up and added to stuffings, tapenade, or soups. Was it Casper? Why did you peel them? Was it difficult to grow them blemish-free? Hilled/blanched celery is looking good These are ...hmmm I'm thinking Tango or Ventura.